In President Obama’s 2010 speech on the country’s space program, he undid the previous administration’s plan to send American astronauts back to the moon: “But I just have to say pretty bluntly here: We’ve been there before. Buzz has been there. 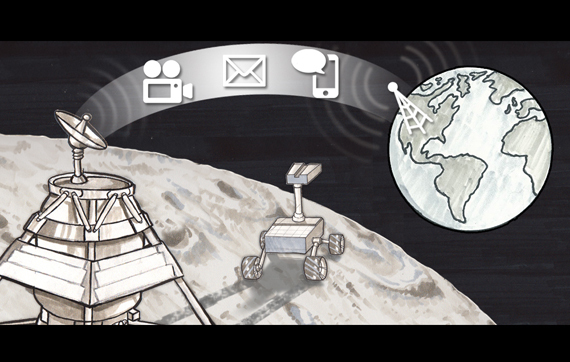 There’s a lot more of space to explore, and a lot more to learn when we do.” My favorite comedy show of all time, Mr. Show (starring Bob Odenkirk and David Cross) has a sketch about blowing up the moon, in which a former Apollo astronaut says, “I walked on the moon. I did a push-up, I ate an egg on it… What else can you do with it?” Well, NASA has an answer to that question — it intends to grow plants on the moon. The Lunar Plant Growth Habitat team, comprised of NASA scientists, as well as contractors, volunteers, and students, will try to grow a couple of plants such as basil, sunflowers, and turnips in specially constructed cylindrical aluminum planters that contain sensors, cameras, and other equipment that will broadcast images of the plants as the grow (or don’t grow). The plant habitats are intended to be self-sufficient, able to monitor and regular temperature, moisture, and their own power supply. Work is underway to figure out methods of growing produce in space, which is especially vital for eventual Mars colonists. Space food leaves a lot to be desired, so scientists are working on getting more variety into astronauts’ diets. They’re also working on ways to create sustainable agricultural practices, given that resupplying Earthly goods will bend, if not break, the budget. 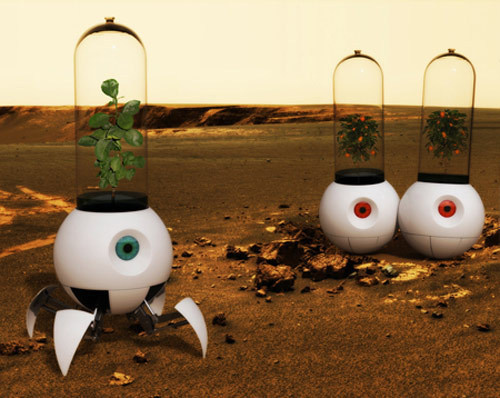 But that will require astronauts growing their own food, which raises the question of how suitable an environment is Mars (or the moon) is for growing plants. 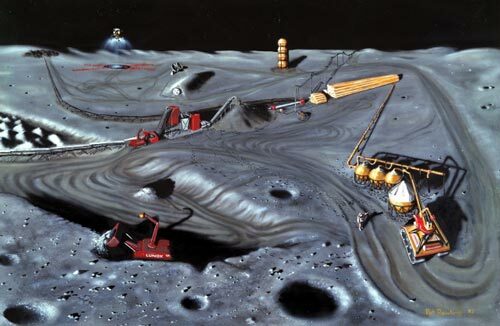 According to a study recently published in PLoS One, both Mars and the moon may be much better suited for agriculture than previously thought. Dutch researchers planted fourteen different species of plants in soil similar in composition to that on Mars and the moon—the same soil NASA uses for simulations. The control group in the study used Earth soil from an area without many nutrients. Scientists planted mustard, tomatoes, rye, carrots, wheat, and cress into 840 different pots—20 replicas of each kind of plant species in each of the three types of soil. From there, all the subjects were kept under the same greenhouse conditions with 16 hours of light each day and temperatures of 60 degrees Fahrenheit. Researchers let them grow for 50 days. Can Astronaut Waste Be Turned Into Fuel? One of my favorite aspects of Mary Roach’s book Packing for Mars is her hilarious but thorough examination of what happens to astronauts’ bodily functions in space. Given how much these rely on gravity, microgravity is a challenge in many ways, including using the bathroom. 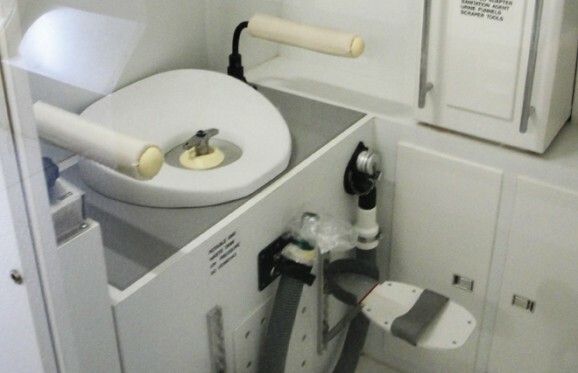 I certainly never thought about the advantages of a toilet with a vacuum system before reading the book. But all those messy details may soon amount to more than just a funny story. NASA commissioned researchers at the University of Florida to see how human waste could be useful, and the results indicate that we may be able to make rocket fuel out of astronaut poop. Just yesterday I was watching a nature documentary that featured small communities living in India just south of the Himalayas. 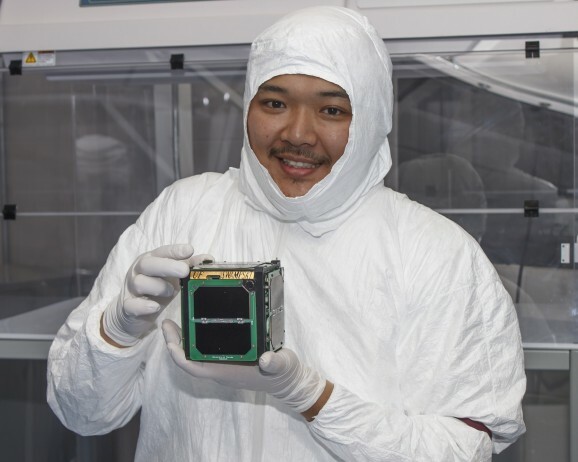 They burn goat and buffalo poop, which establishes the dual purpose of maintaining a degree of cleanliness while also providing cooking and heating energy–though they’re not trying to get rockets off the ground.